This blog is the fifth in a series which describes how to manage a program of global color communication and electronic color standards. Instrument Performance can affect whether a sample passes or fails a quality inspection. A large part of the tolerance can be taken up by inter-instrument agreement or by instrument drift. Color tolerances frequently are set at less than 0.5 DE, and with instrument uncertainty and drift of 0.2 DE, 40% of your tolerances is taken up just with instrument variation and uncertainty. It’s important to know that your instrument is measuring in within specification. 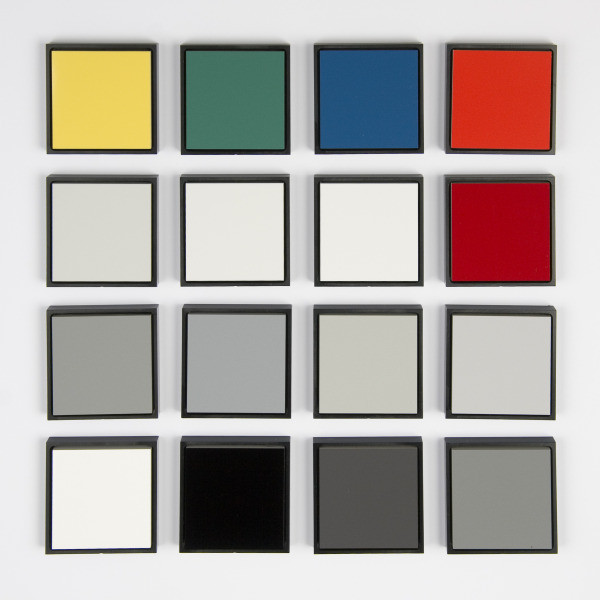 White and black calibration and a green tile test are typically used for instrument calibration. The green tile test is good for independently validating that the instrument has been calibrated properly. Is the Green Tile Test really enough? On most spectros, the operator can put any white or near white sample at the port in place of the white calibration tile and the instrument will calibrate successfully without flagging that the wrong standard was used for calibration. The green tile test assures that the calibration was performed correctly. However, it does not check for wavelength and photometric errors, so that you could get a successful green tile test, but the instrument could still have other issues that would show up when you measure colors in a different part of color space over a broader color gamut. What else can I do to make sure my instrument is measuring color properly? You need to monitor your instrument performance on a regular basis (let’s say monthly) to make sure that it hasn’t drifted or changed and that it’s working properly. A daily green tile test is not enough. While the green tile test can screen for gross changes in the instrument, it’s just not sensitive enough to meet today rigorous standards of instrument performance. With the right software and a set of Diagnostic Tiles, you can monitor your instrument’s performance properly. This way you’ll know when something has shifted or changed—hopefully before your batch of product gets rejected for not meeting the color specification. Often instruments are certified in the field by a technician without sending them back to the service facility for cleaning and preventative maintenance. Many companies rely on this annual re-certification of their instrument to tell them if it is not performing up to factory specification or to bring it within spec. Doing this test only once a year allows too much time between checks and the re-certification of the white calibration plate is not enough to tell you how the instrument performs over the whole color gamut. We recommend that you run a monthly instrument performance evaluation using a set of diagnostic tiles. The set that we recommend (shown below) contains 16 specially selected ceramic tiles. Ceramic tiles are recommended because of their long-term color stability and durability. The tiles are screened for translucency and thermochromism, and the gamut is chosen for optimal monitoring of wavelength and photometric errors. The Diagnostic Tile set is measured using a special software algorithm as part of the OnColor Profiler package that tracks and trends changes in the instrument performance. A tolerance for instrument deviation on each tile and the average over all 16 tiles must be met. The test should be performed at least monthly if not weekly with the results being tracked and archived to document each instrument’s performance. This way as the instrument drifts or a malfunction occurs, you have a recent record of how the tiles measured for comparison. If any deviation is out of the normal range or specification, then it’s time to send the instrument back to the factory for service and repair. This also gives you a benchmark for how the instrument was reading before it was sent out, so you know whether the readings have shifted or not. By printing and logging the results of this test, you can use the reports to certify your vendors or other facilities within your organization. The documentation can also be used to show ISO compliance. Knowing that your spectrophotometers are reading color correctly gives you peace of mind and confidence in your results. Passing this information along to your customers builds confidence in your technical color management capabilities and builds rapport with your customers. Ensuring that your spectrophotometer is measuring color properly is a cornerstone to having a successful color management program. The test only takes a few minutes each time to run. In the long run, performing this instrument diagnostic can save you time and rejections for color by catching instrument problems before they cause color complaints and rejected batches. CyberChrome's OnColor software and color experts can help you setup and manage your spectrophotometers properly.